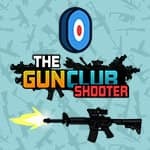 In game The Gun Club Shooter you can well do some shooting! Amaze all targets and earn enough coins to open new, more powerful fire-arms. Play some modes, such as: protection, missions and shooting.